Professionalism is what makes Edelman a top partner in business. We pride ourselves in developing highly recognizable designs, marketing distinctive brands and fulfilling a leading international role in the supply of decorative products for all seasons. High quality products of ceramic, glass and metal characterize the Edelman product range. 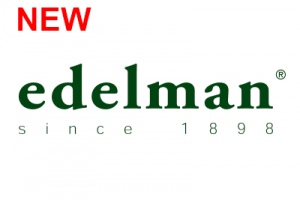 Edelman has an extensive range of Christmas products, such as trees of Triumph Tree & Black Box Trees, lighting by Luca lighting, ornaments of House of Seasons and the miniature world of Luville collectables. Edelman also offers a wide range of home deco products & artificial flowers, plants and trees of Mica decorations. And offcourse our home deco collection of Casa Vivante. We offer our distinctive brands there where the consumer shops. We want to reassure our customers by means of reliable deliveries, good quality and excellent service. With commercial and inspiring collections and successful store concepts, shelve plans and presentations.